Well, the cat is the bag in this case. 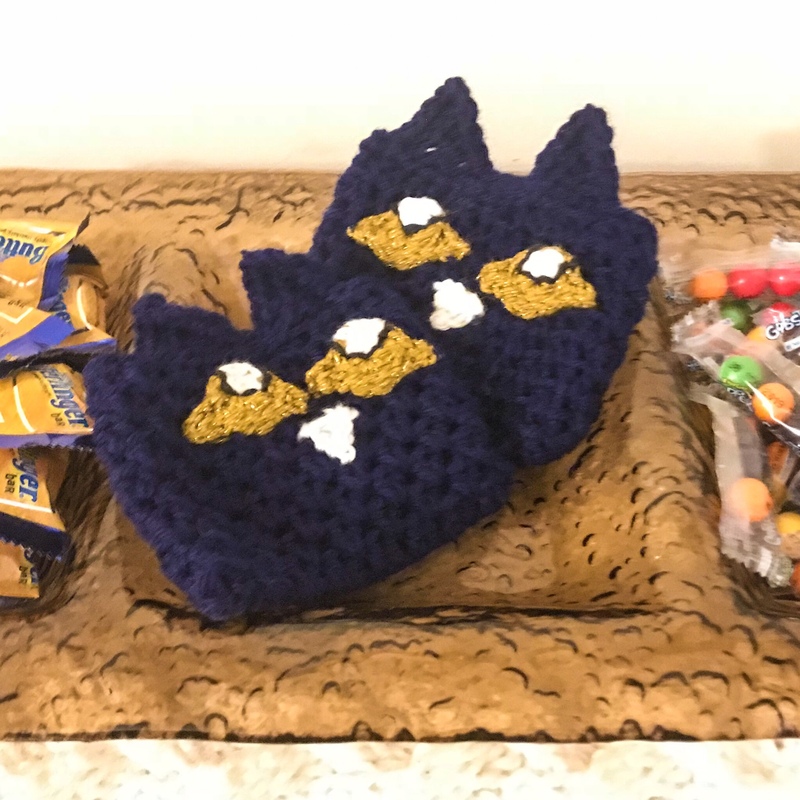 The most popular cat in my house, Pete the Cat, made it into our Valentine’s Day treat plans. This little bag perfectly holds a snack size candy or treat! Gauge: doesn’t matter for this pattern. 11) ch 1, sc in same st, sc 9, make ears. 4) backstitch around the bottom of the white portion of the eye. Sew on. You are welcome to sell your finished items from this pattern. However, please do not copy, share, or redistribute the pattern itself in any manner. 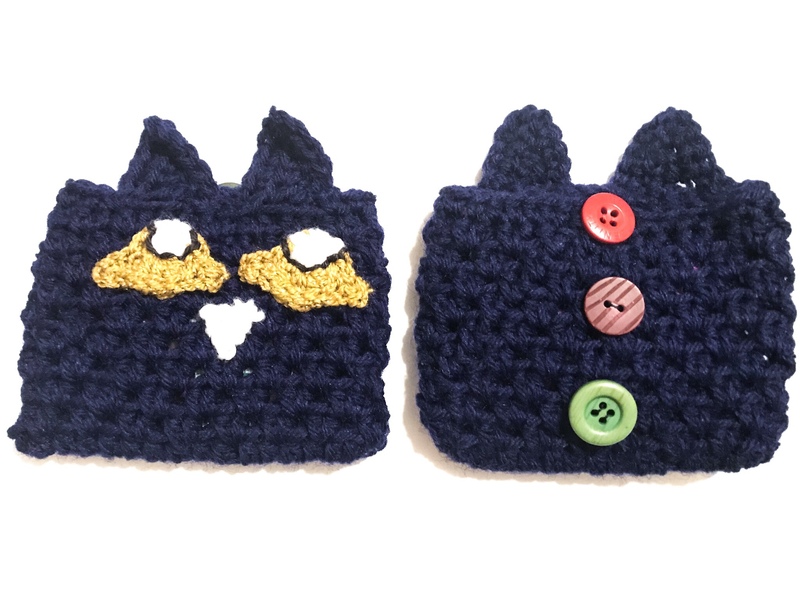 Please provide a link to my website if you choose to sell your finished items online, even if adjustments or embellishments have been made to my pattern. If you change the name to the item when you sell, mention the pattern name and link so that other people can find it). 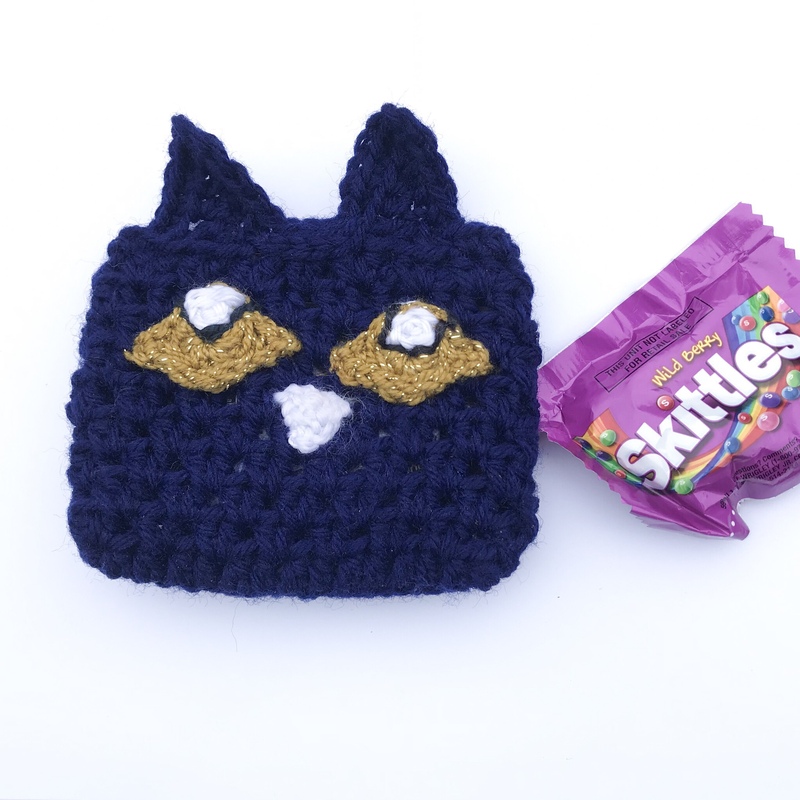 You may link in this way: Pete the Cat Treat Bag Crochet Pattern by Hannah at brightsideis.com.